About Us – APLS, Inc. The story of APLS, Inc. began before “Landscape Supply” was a recognized industry, and even before landscaping was a common practice among most homeowners. In 1987, our founder, Mark Collier, was offered a free load of bark that was left over from a local land-clearing project. It was dropped outside his car service station, where he made it available to customers as ground cover. During that time, wood by-products like this would typically be burned or otherwise discarded after a job. Mark saw the potential for recycling this material while also providing a much-needed product to the region. As the market would quickly confirm, shredded bark makes for the perfect ground cover, adding color and contrast to gardens, trees, and hillsides. Before long, Mark purchased the land that would become our flagship location in Allison Park, and APLS Landscape Supply was established. However, success wasn’t just handed to him. It took many years of dedication and hard work to make APLS a leader in the landscaping industry, with three locations in Western PA and over 15,000 customers served every year. Since its establishment in 1989, APLS has added hundreds of new products and services to better assist our customers with their projects. 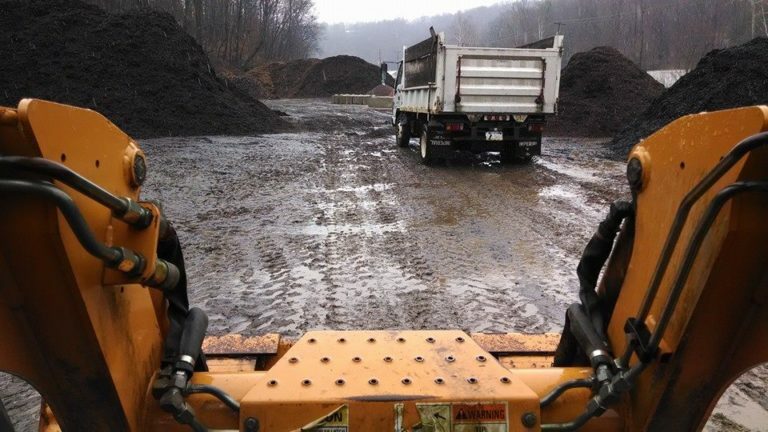 We have a company-owned truck fleet, a variety of different mulches and decorative gravels, and an extensive selection of concrete retaining walls, patio pavers, stepping stones, and other hardscape products. Whatever project you can dream up, know that APLS will have the materials and equipment to make it a reality!